Bonus Harvest and Upcoming Events! The greenhouse is growing so much that we will be holding a bonus harvest tomorrow evening at 5:30 PM. Stop by to harvest some wonderful produce and then come out to trivia night at the Kickin’ Caribou Pub for 7 PM. If you are unable to make the harvest, but would like us to put your share aside, please contact us to let us know! Never visited the greenhouse? Now’s a great time to check us out! During the upcoming work party on Sunday, we will also be holding a bake sale and barbecue. 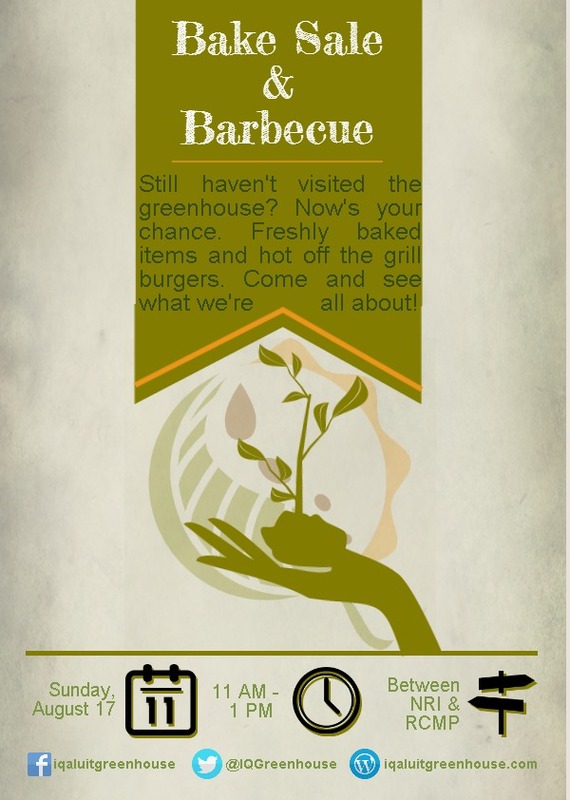 Rain or shine, we will be at the greenhouse, grilling up burgers and selling some freshly baked items. If you would like to donate baked goods to the sale, please ensure that you bring them to the greenhouse by 10:45 AM. Bring your appetites!